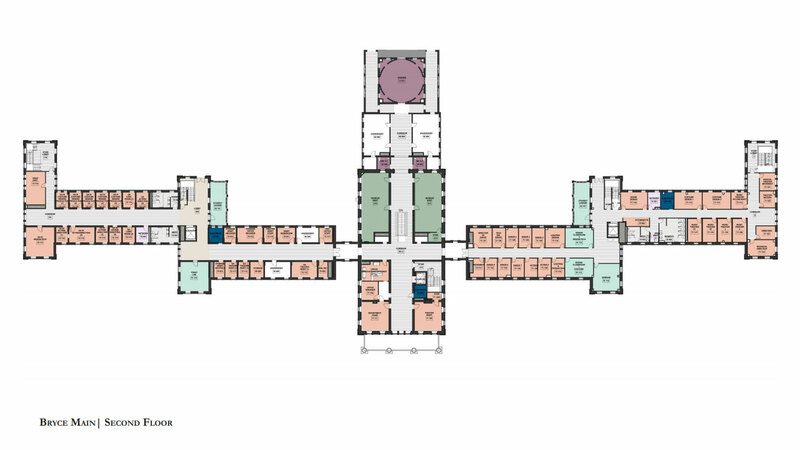 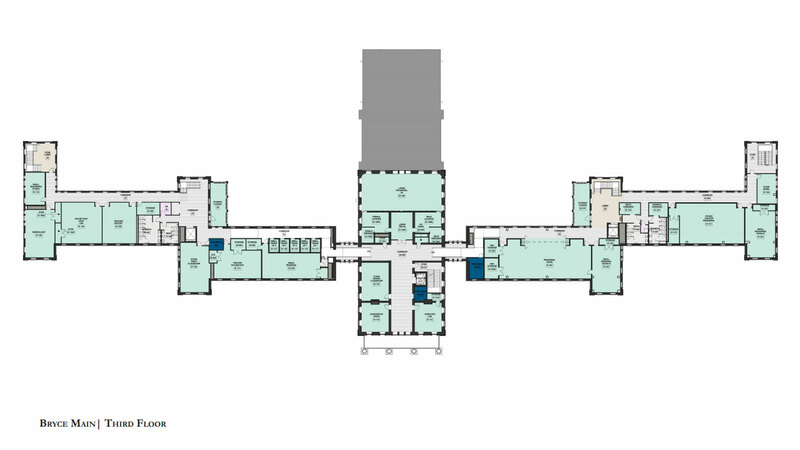 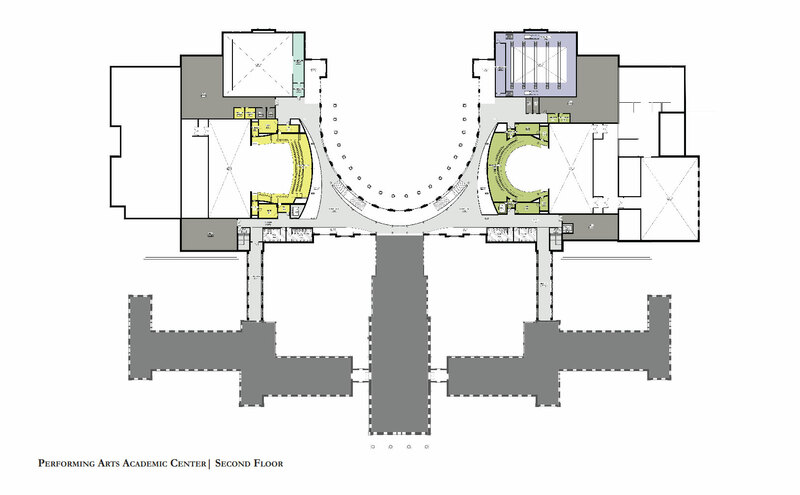 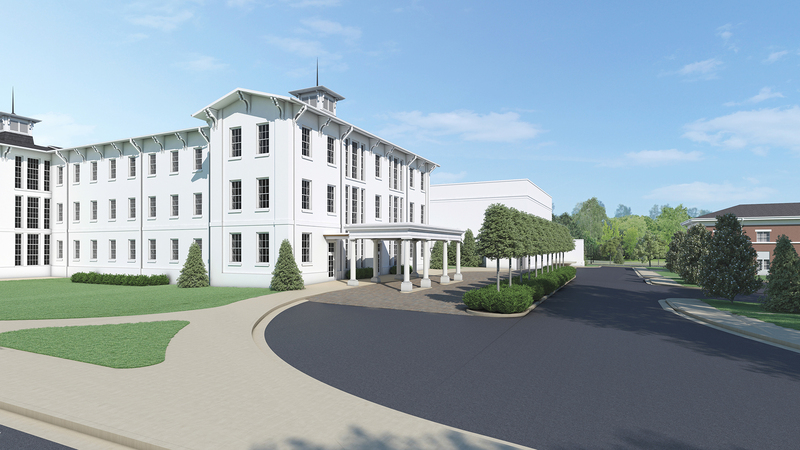 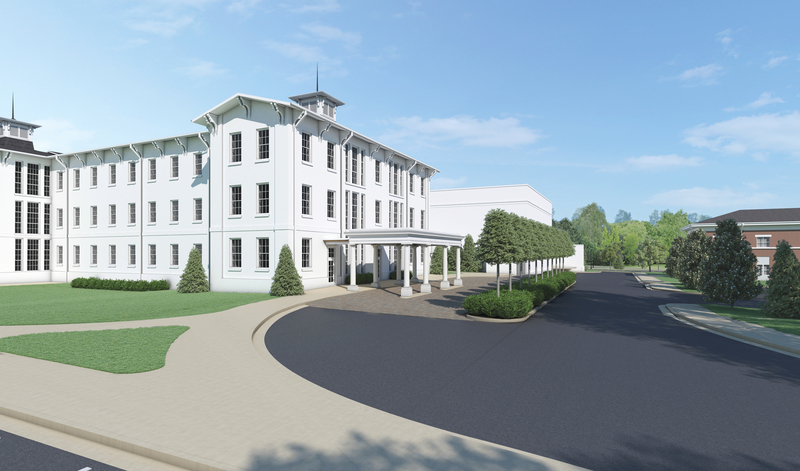 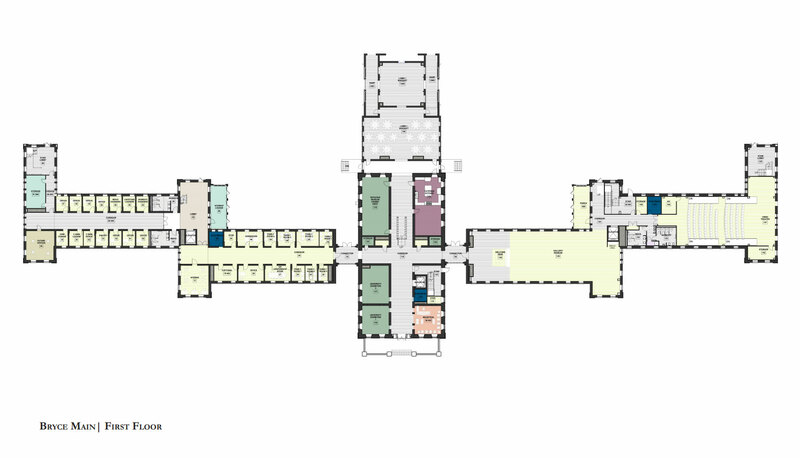 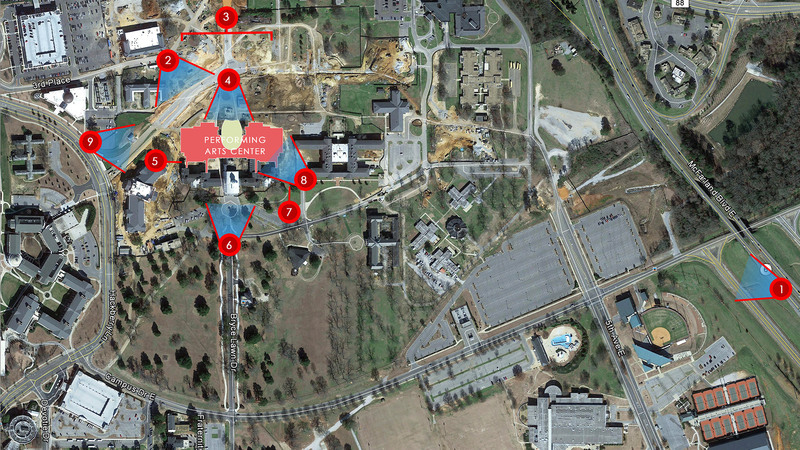 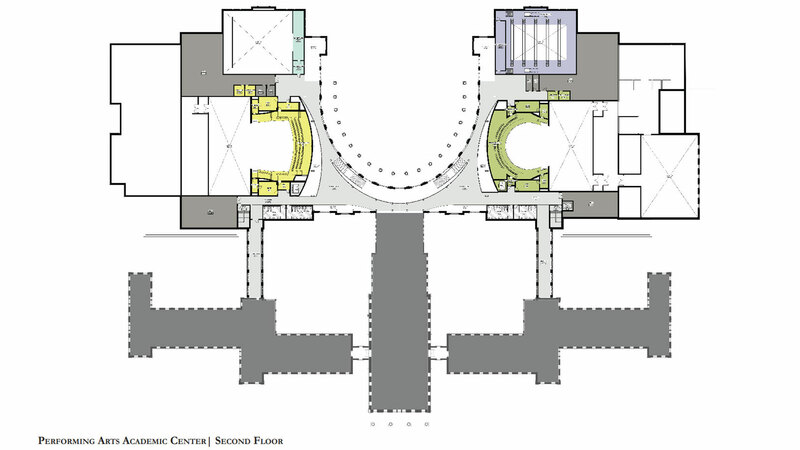 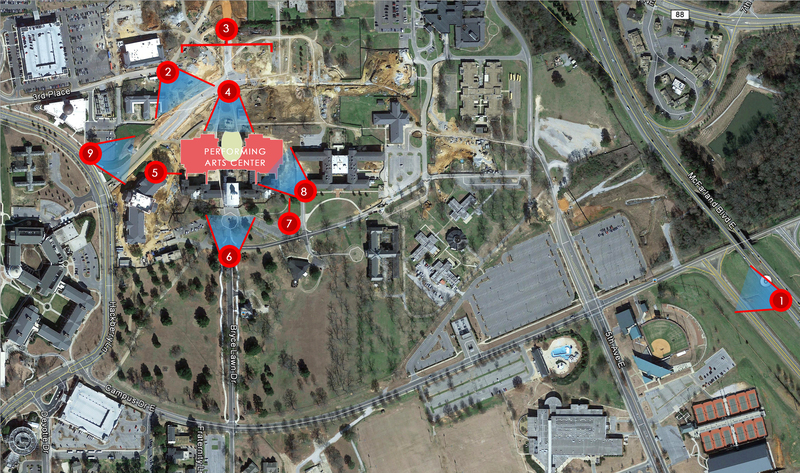 The main hospital building is being renovated to include the University welcome center, reception venue and associated office and administrative space. 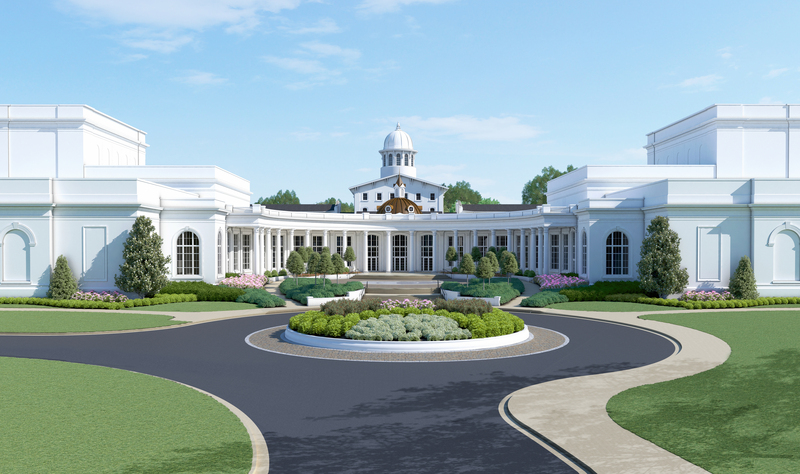 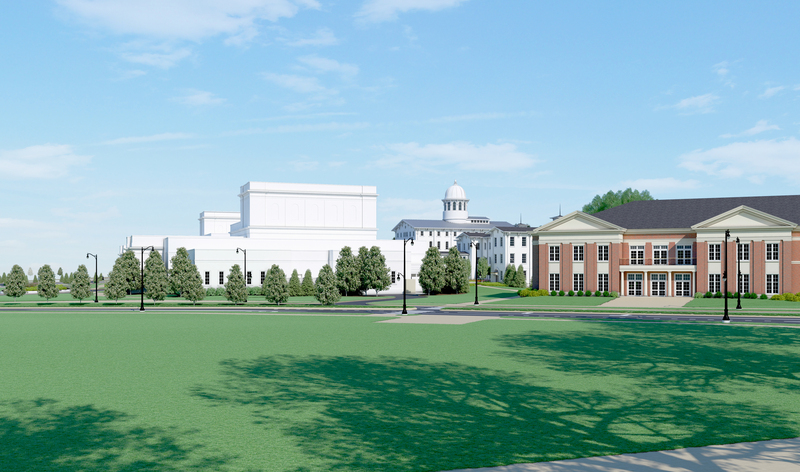 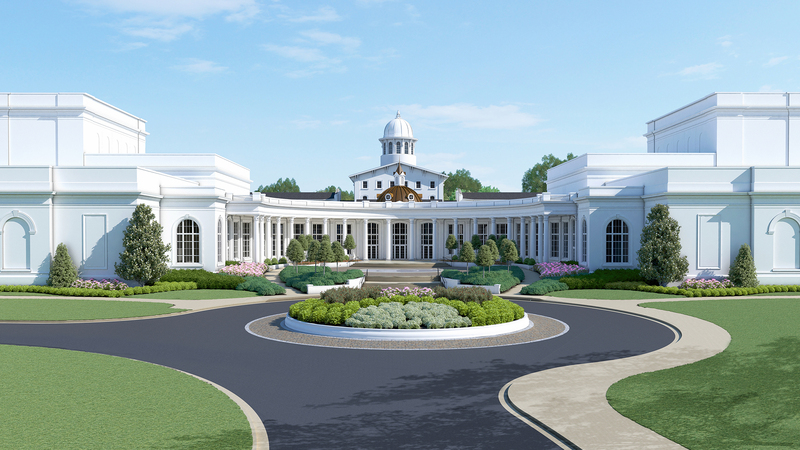 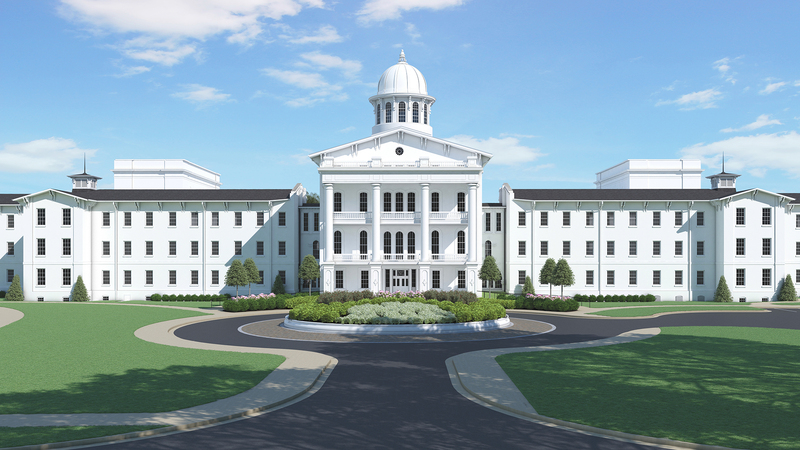 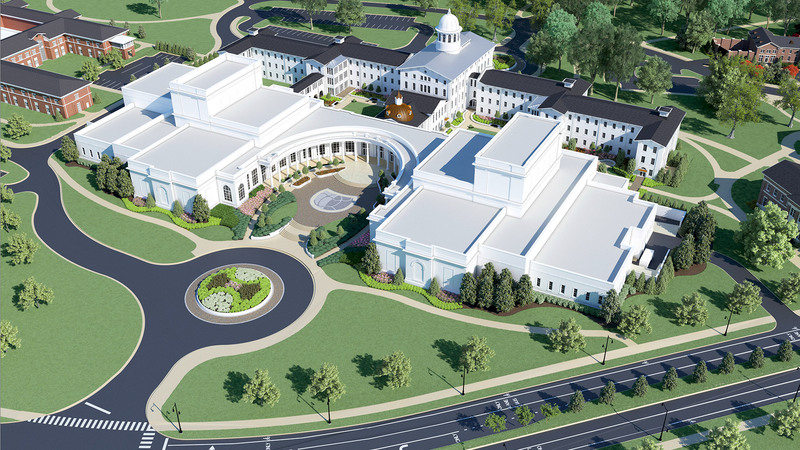 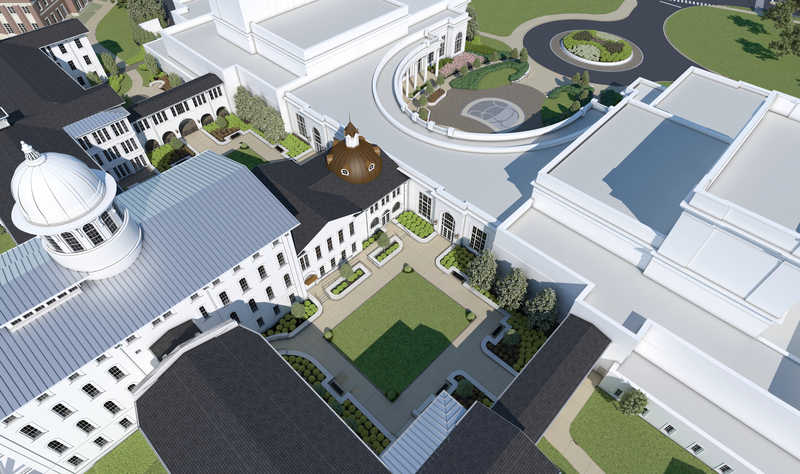 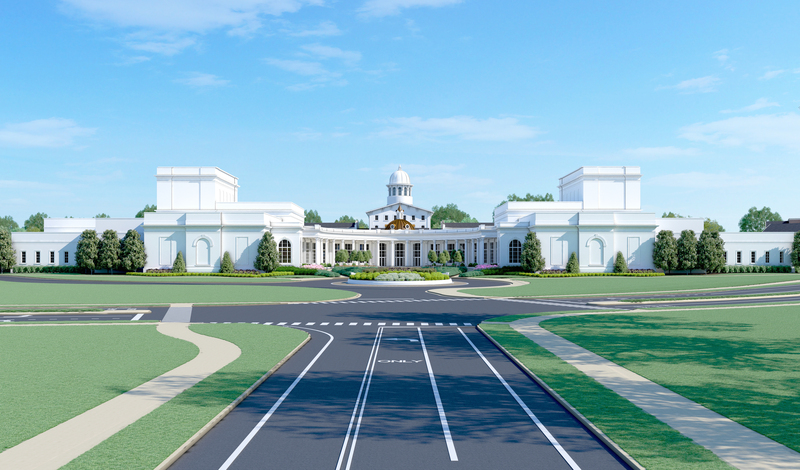 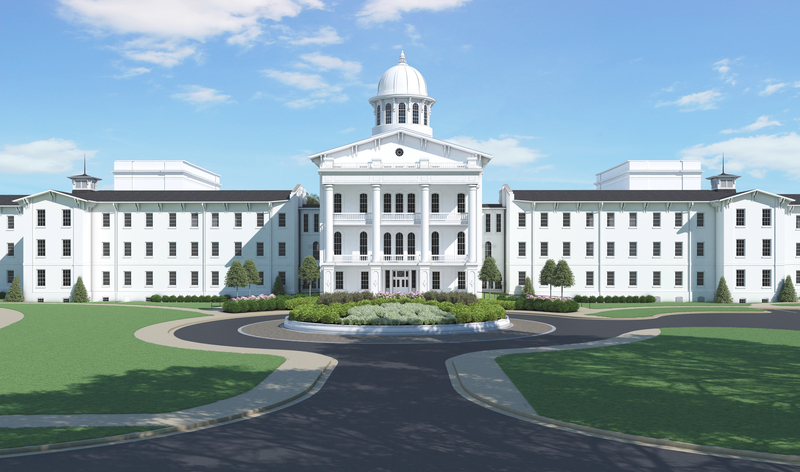 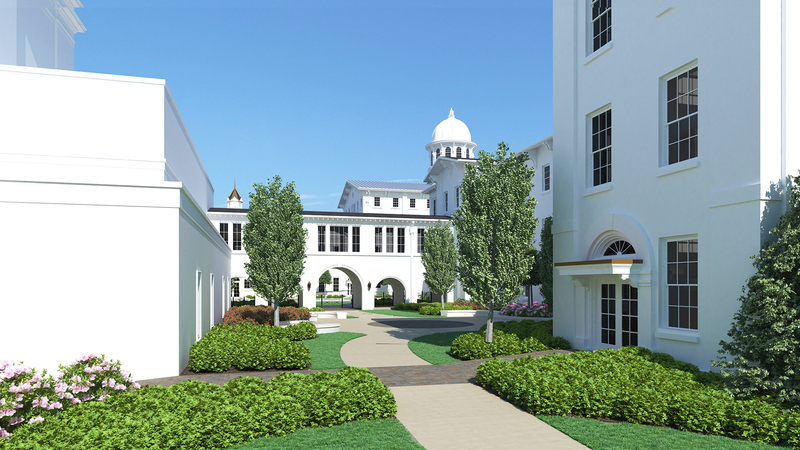 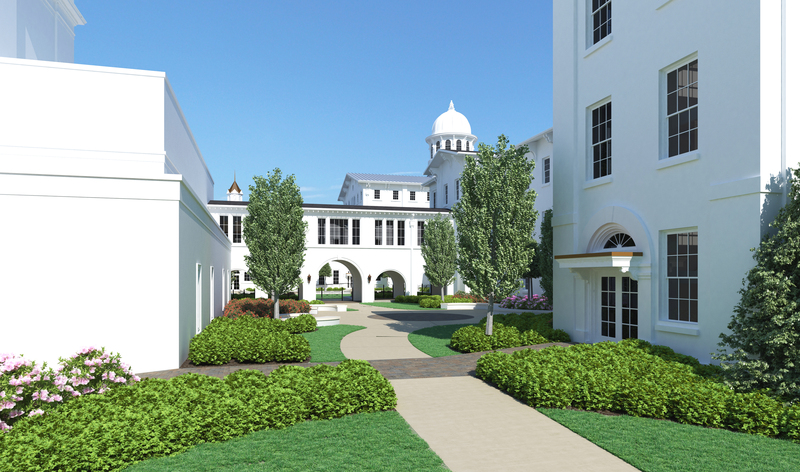 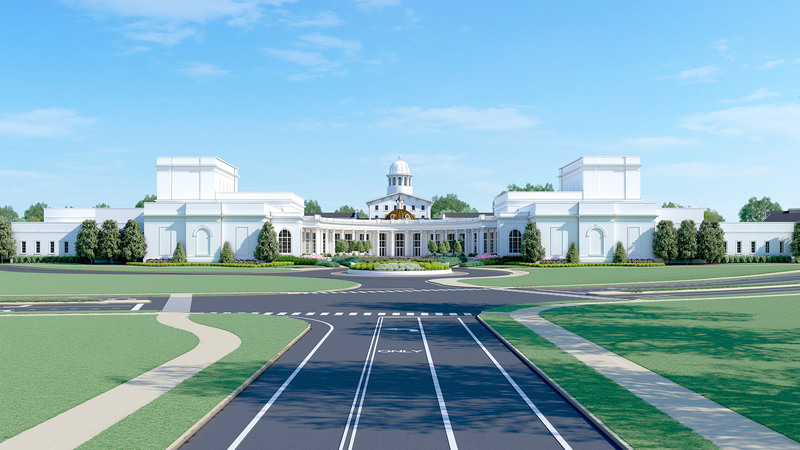 The building will also house faculty offices and rehearsal space for Theatre and Dance, as well as museums dedicated to both University history and the history of mental health in Alabama. 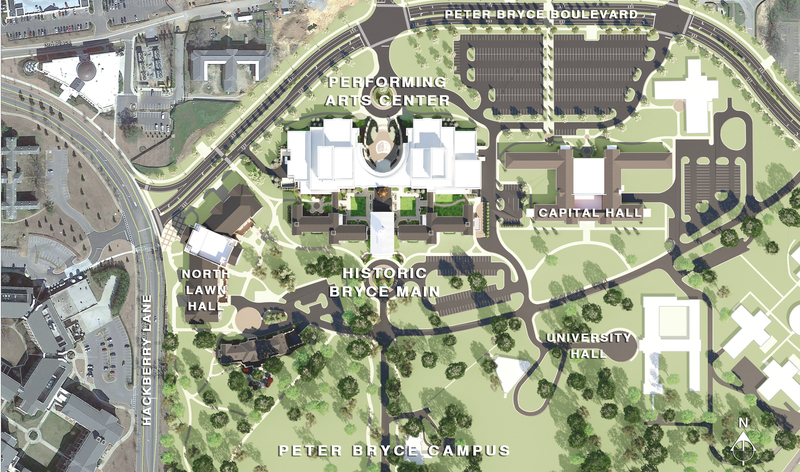 The new Performing Arts Academic Center, which will connect to the restored Bryce Main, will be the grand centerpiece of this vibrant new nucleus of campus and ensure that our patrons will experience the highest level of performance in a setting of unparalleled beauty. 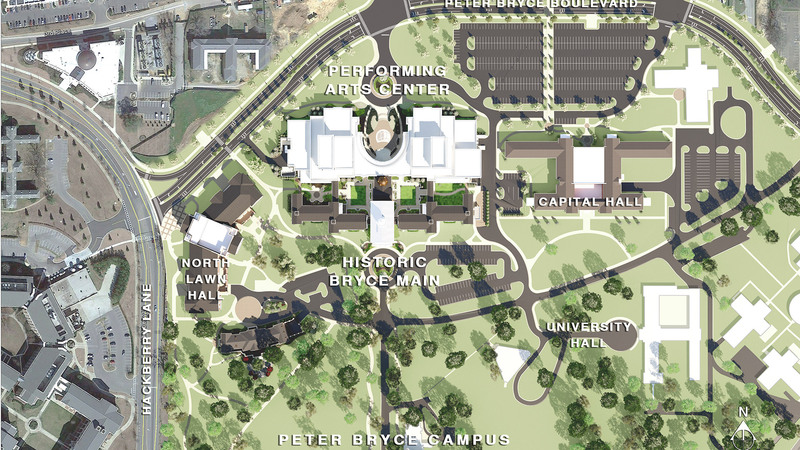 The powerful combination of world-class performance venues showcasing the exceptional talents of our students in the historic and pastoral setting of the Bryce property ensures that the Performing Arts Academic Center will be a marquee public space for the campus community as well as visitors. 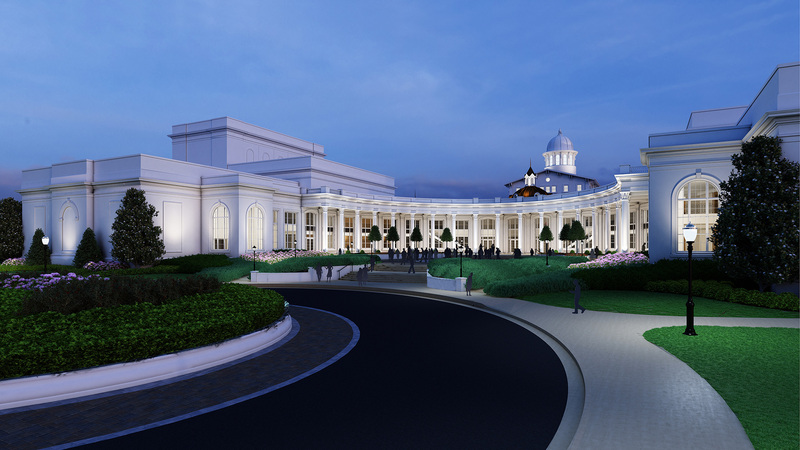 The Performing Arts Academic Center will become one of the most iconic and visited buildings on campus—bringing student artists, faculty mentors, arts lovers, community members and visitors together to explore the human condition through the arts in a remarkable, one-of-a-kind facility. 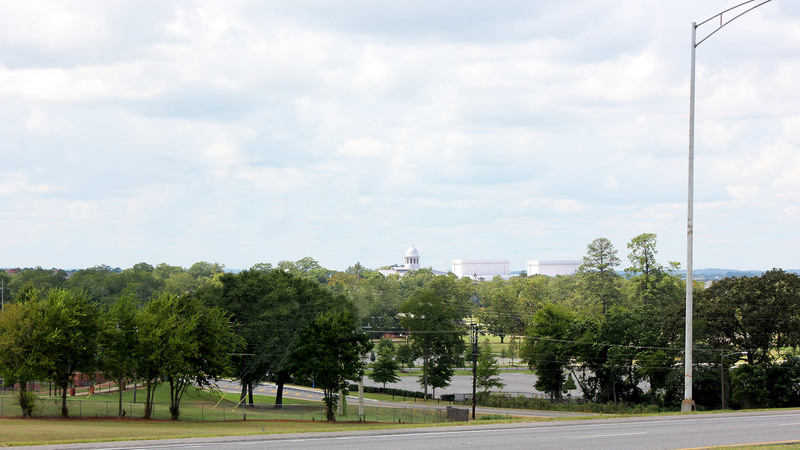 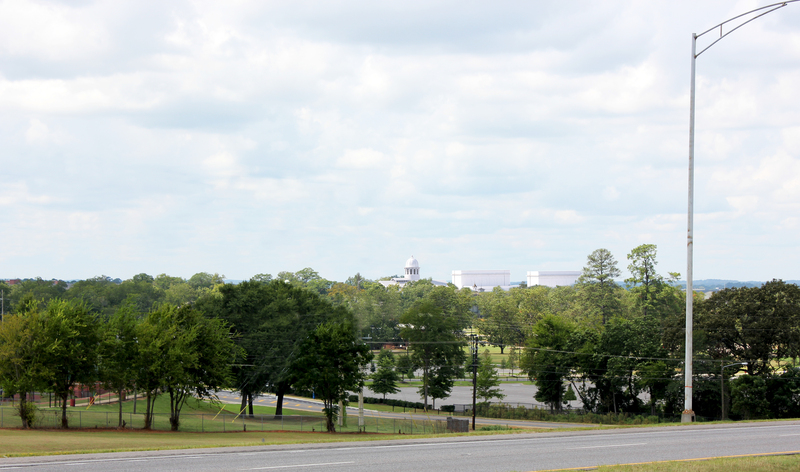 The stage is set for a new home for the performing arts at The University of Alabama. 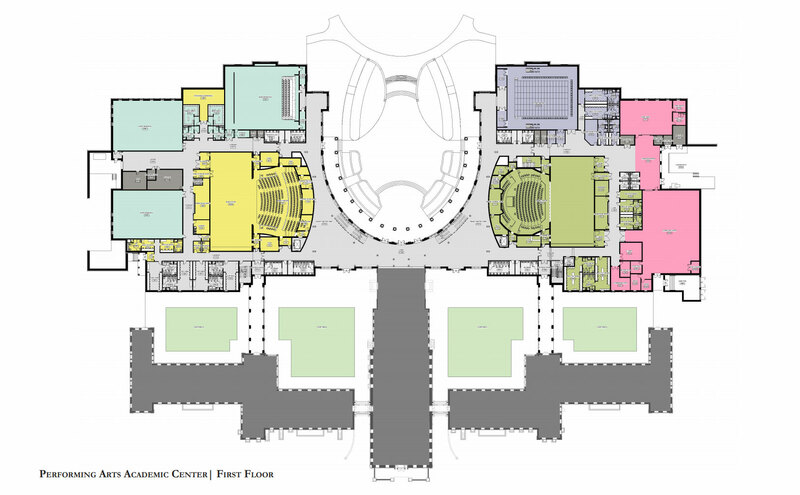 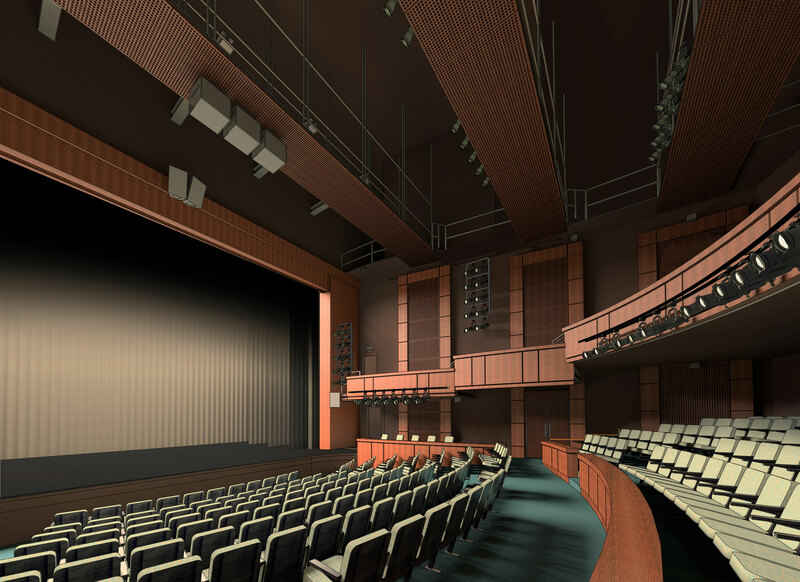 The facility will include four performance theatres—a black box theatre with flexible seating for 175-275, a 350-seat proscenium style theatre, a 450-seat venue specifically designed for dance and a dance studio theatre with flexible space for rehearsals, recitals and smaller performances. 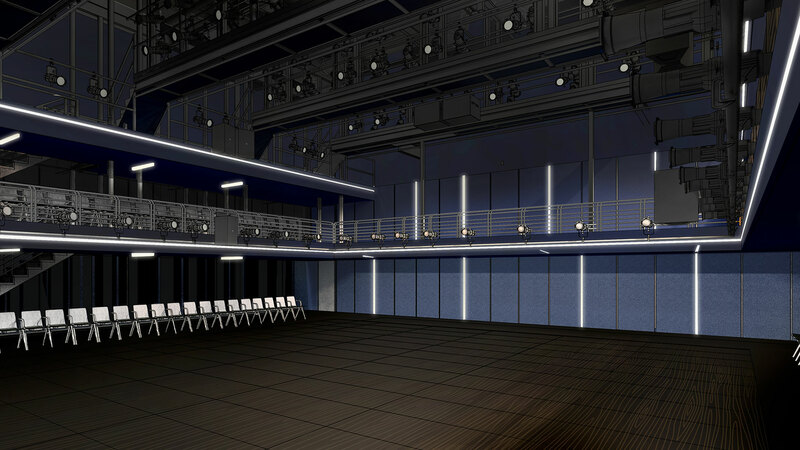 These performance spaces will set the stage for an intimate artist-to-audience connection, elevating the experience for each patron. 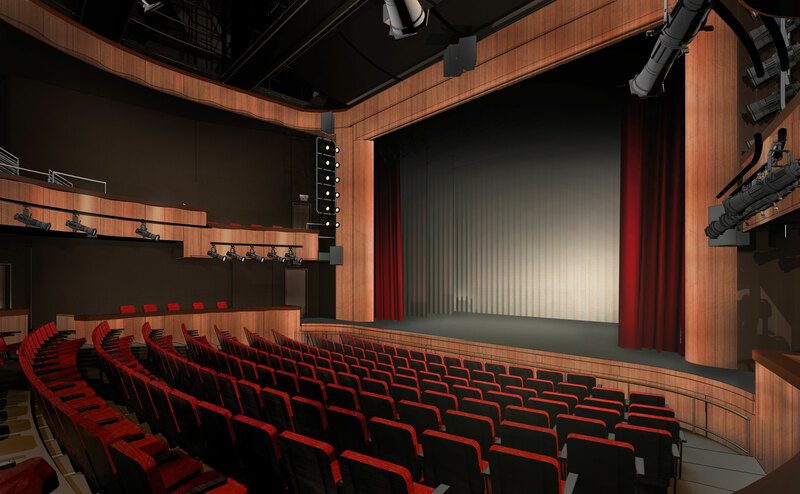 All Theatre and Dance students in every area of performance and production will experience the immediate impact of this critical project. 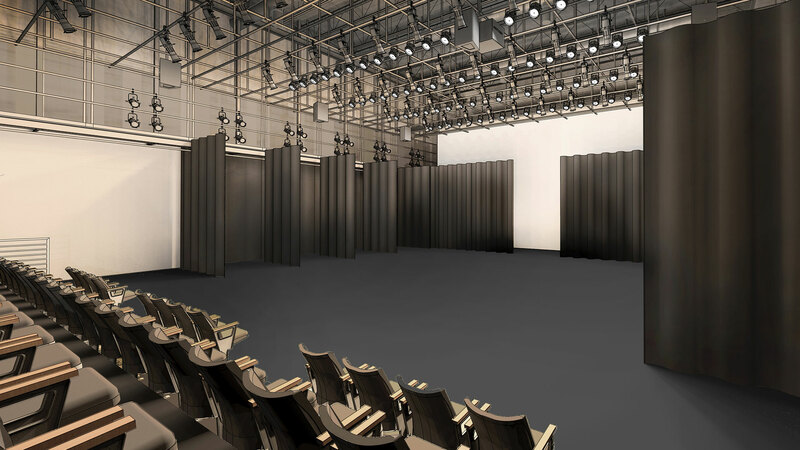 Performers, designers, directors, choreographers and theatre management students will finally have the space they need to create and collaborate in a new experiential learning environment that includes a rehearsal space, classrooms and production space. 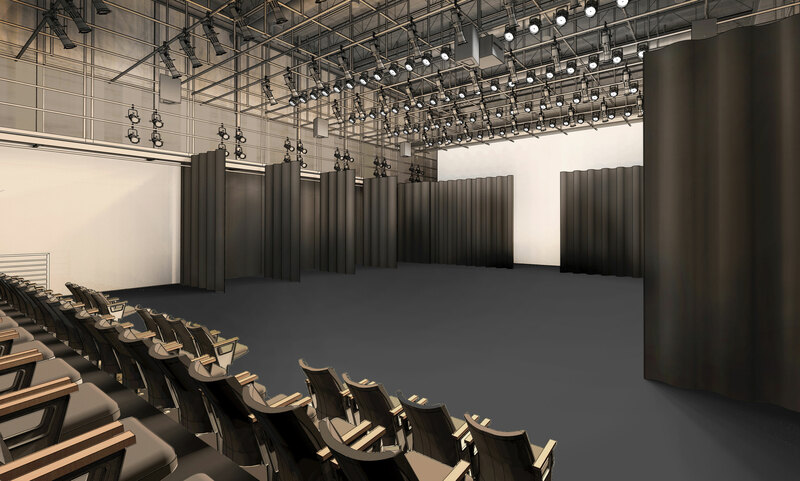 With costume, scenery, production and lighting studios sized and equipped to match commercial studios, our design and technical students will experience a seamless transition into the professional world. 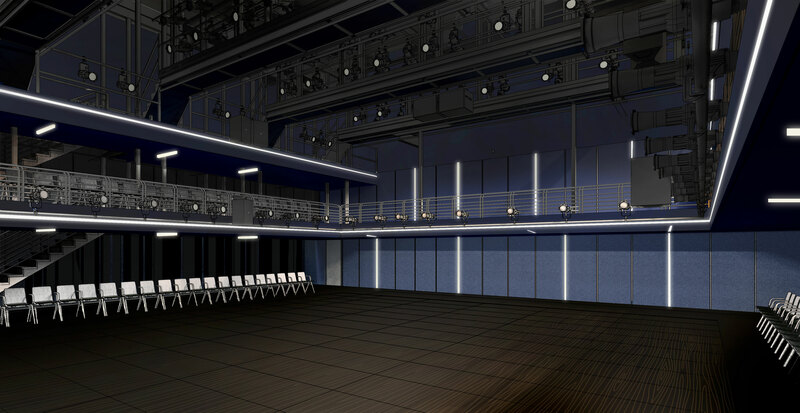 Adjustable acoustics in the drama theatres and precisely engineered floors for dance will allow our faculty to train students in facilities equivalent to the ones in which they will be working as professionals. 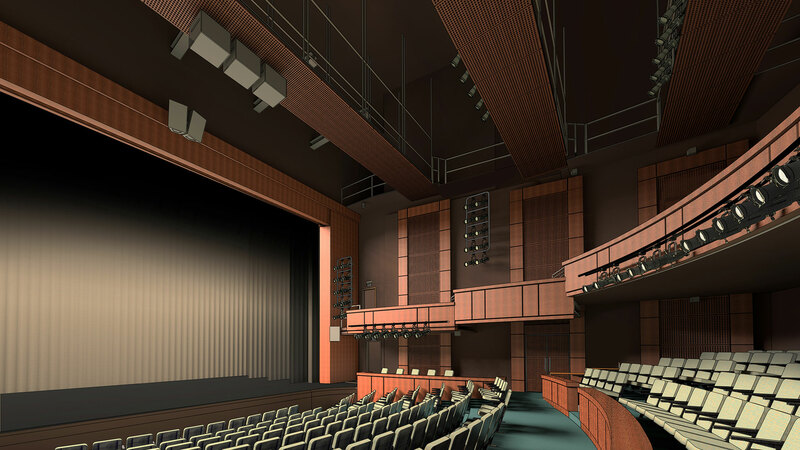 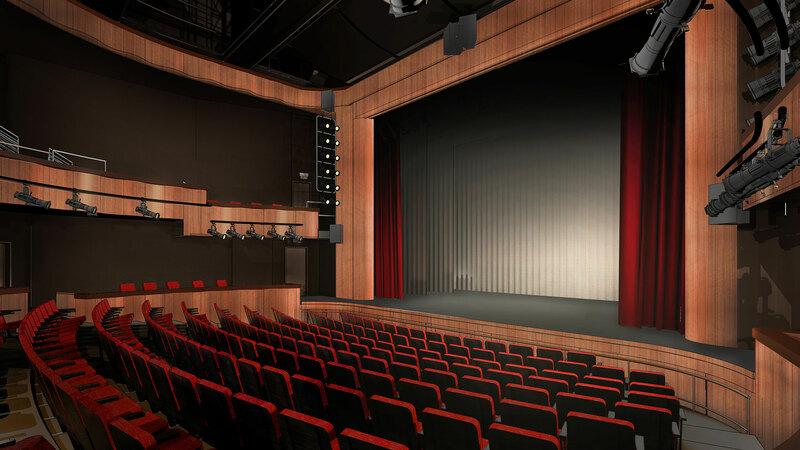 The state-of-the-art equipped theatres will also allow our students to design for and perform in productions with multifaceted scenery, lighting and effects comparable to major regional theatres and Broadway.